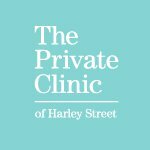 The Private Clinic of Harley Street has clinics in London - Harley Street, London - Knightsbridge, London - City, Birmingham, Bristol, Leeds, Manchester and Glasgow. For almost 30 years they have provided the latest technologies and the most successful techniques for breast augmentation and reduction. The clinic, UK’s leading authority in minimally invasive fat removal procedures, specialises in breast enlargement with fat transfer, using the PureGraft™ system for fat transfer, a safe alternative to implant surgery which allows larger breasts to be created without the need for implants. As both shape and size can be enhanced, permanent, soft and very natural looking breasts can be created. Here, The Private Clinic patient, Sophie Hayes, undergoes a breast enlargement with fat transfer procedure. The fat transfer and VASER procedures were performed by Dr Dennis Wolf and Dr Alberto DiGiuseppe. Check whether you're suitable for a hair transplant. Tips and tricks for breast augmentation aftercare.